Three people robbed a San Carlos jewelry store Saturday afternoon, then fled before officers were able to arrive, police said. The robbery was reported at 1:15 p.m. at San Carlos Jewelers, on Lake Murray Boulevard south of Navajo Road, according to San Diego Police Officer Sarah Foster. 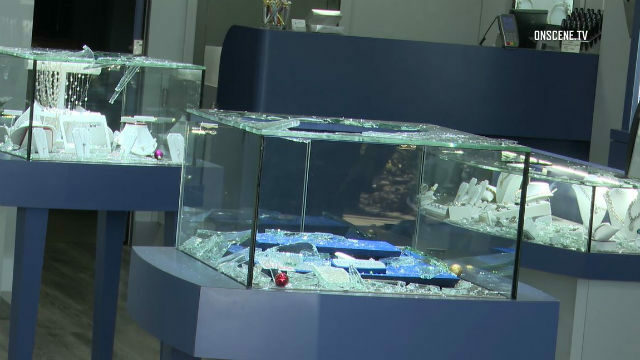 The suspects entered the store and began smashing display cases, Foster said. When the owner went to see what was going on, one of the suspects leveled a gun at her and instructed her to get on the ground. Foster said the three then continued to break into the displays, grabbed an undetermined amount of jewelry and fled the scene. No description was available of any of the robbers. The incident was under investigation, Foster said.